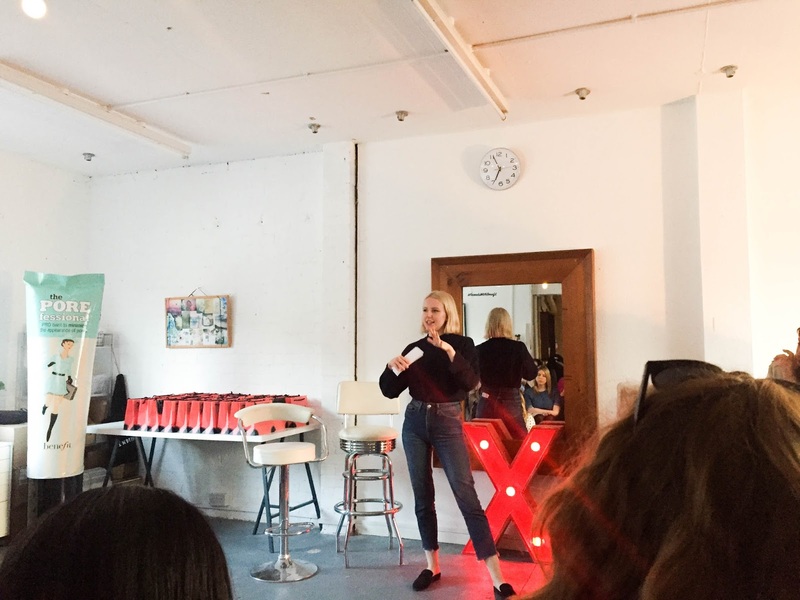 I never ever thought that I would be typing this, but last week a group of local bloggers and I attended a Benefit Cosmetics event in my hometown of Brighton! 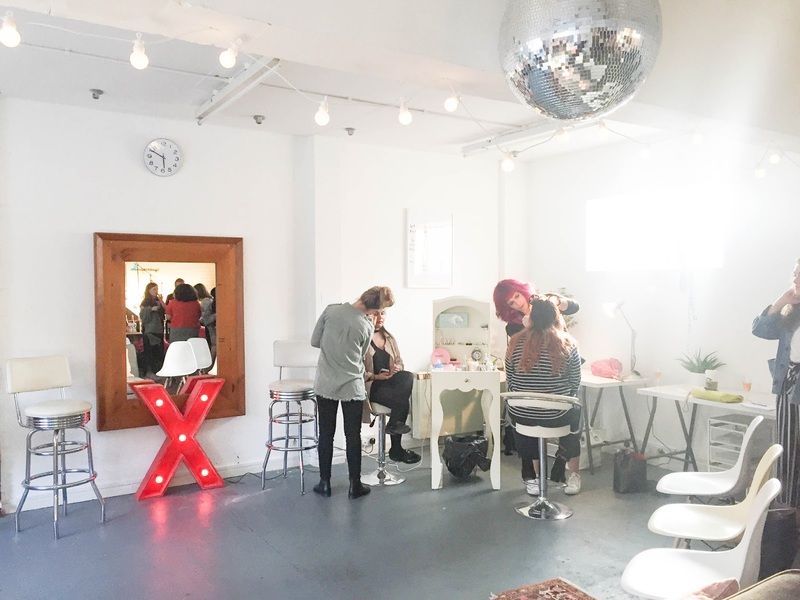 The event itself was held at the adorable One Girl Band space, created by the lovely Lola Hoad. Lola owns LH Design and she is stupidly talented! She currently sells quirky greeting cards and prints, alongside brush lettering workshops around the country - something I definitely want to try at some point! 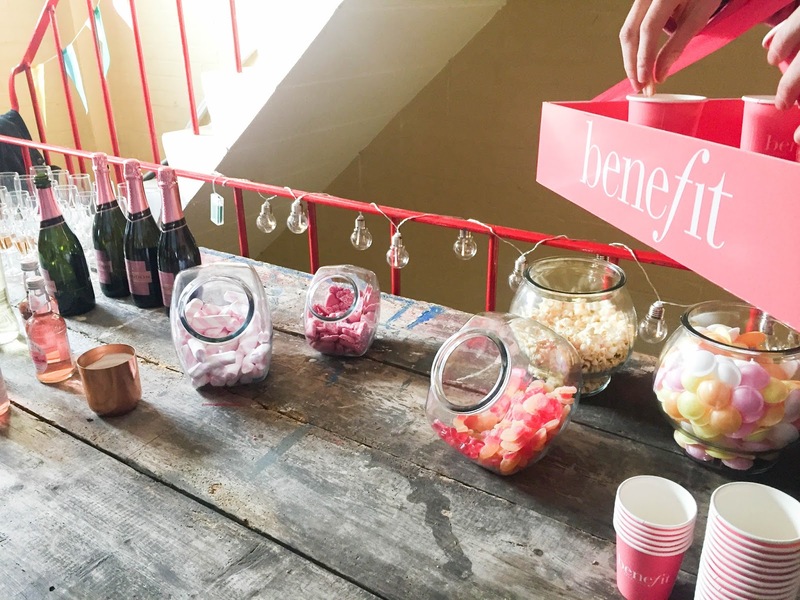 As we arrived, we were greeted with pink bubbles and pic 'n' mix sweets in cute little pink Benefit cups. I definitely took full advantage of one too many flumps that evening. Of course the bubbles were unlimited too (which resulted in a late night order of Dominos afterwards!) #NotSorry. 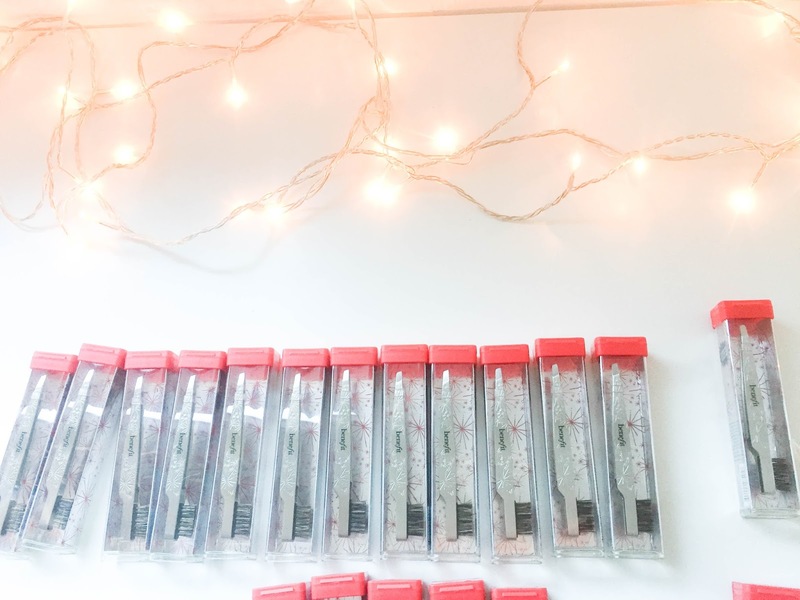 On offer during the course of the evening were complimentary brow treatments by the amazing specialists Amy Louise and Lauren - who by the way are so talented! 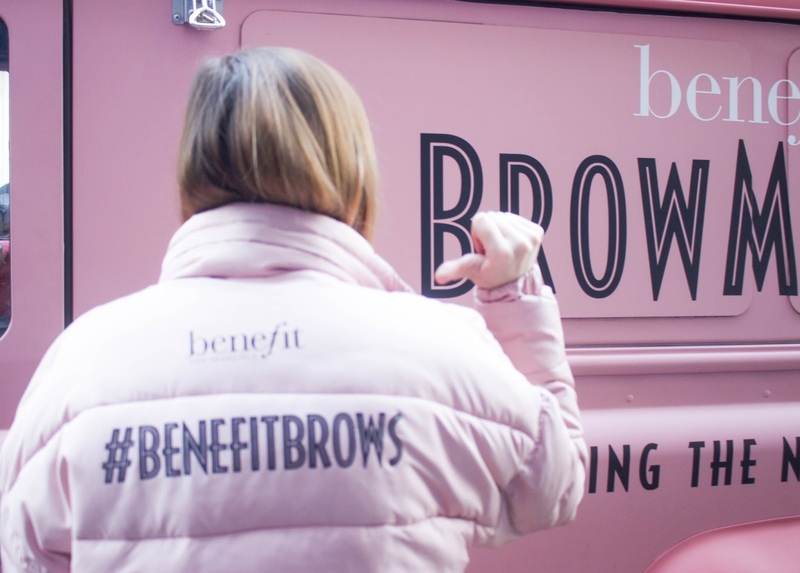 I actually used to get my brows done at my local Benefit counter by the lovely Meg, so I know how amazing Benefit Brows can be! We were also able to personalise our very own pair of tweezers. Needless to say, this was definitely not my strong point.. haha! We got small white letters to stick on, and whilst I was going to go minimalistic with my initials, I decided to go all out and put my name on instead. Lets just say, it went as well as it could go...! 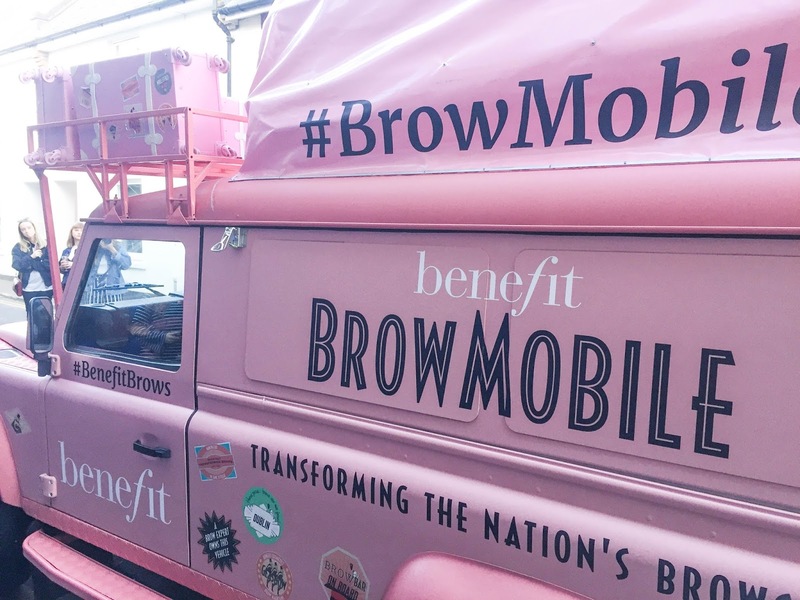 Half way through the evening, we were all taken outside to for the big reveal of the Benefit BrowMobile. 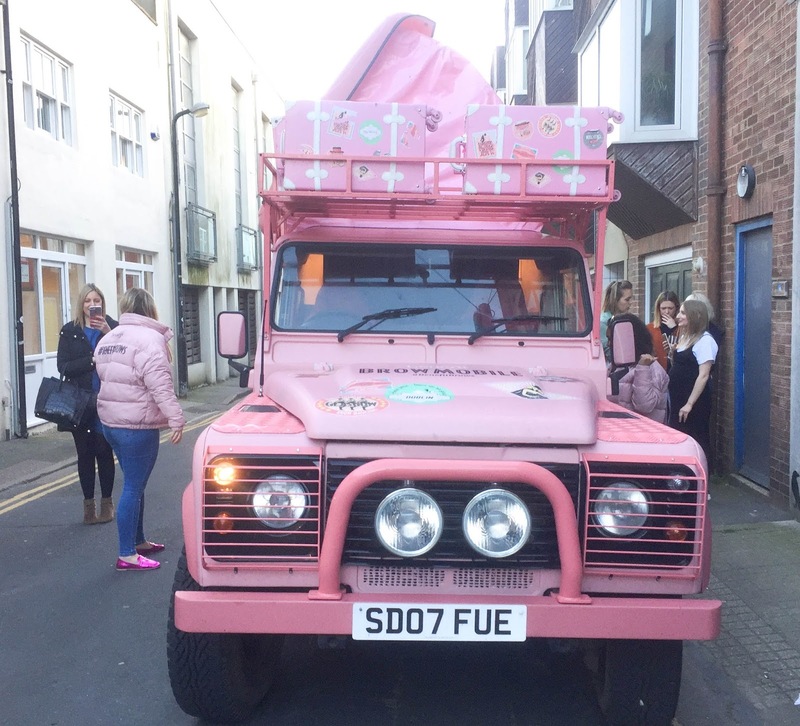 This had to be the pinkest, most adorable Land Rover I have ever seen in my life! After the big reveal, we got a chance to go inside and take a look around. 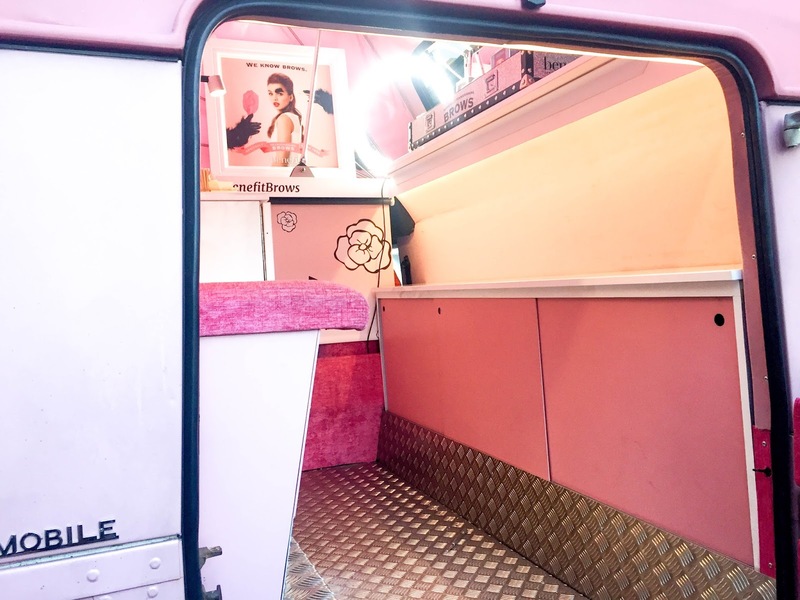 It really is such a well utilised space - they had all of the Benefit Brow products in all of their glory on one side, and a brow station with comfy seating on the other! 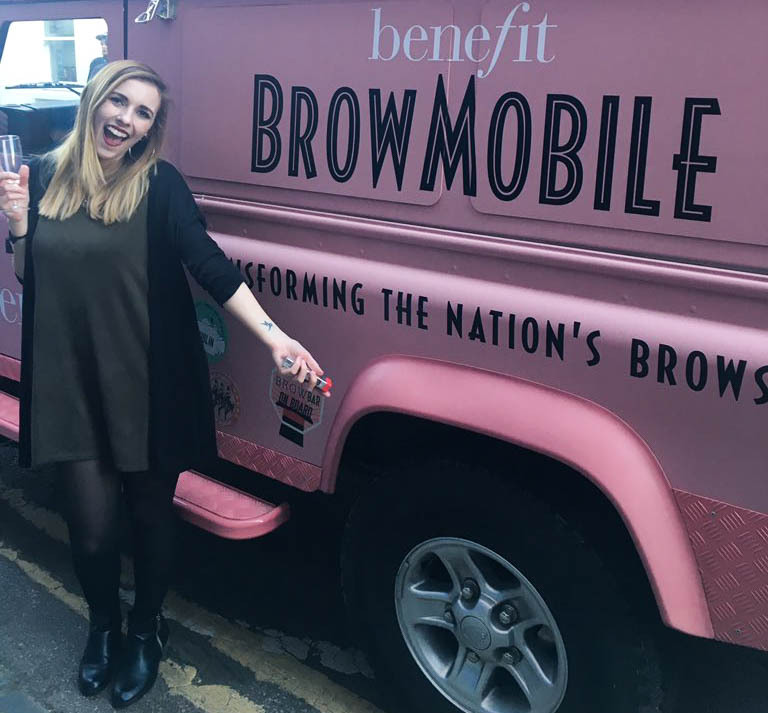 The BrowMobile is currently touring the country for the next 2 months to help transform the nations brows. I think this is such a brilliant idea and definitely one to look out for! Later that evening, we were given 2 really inspiring talks. 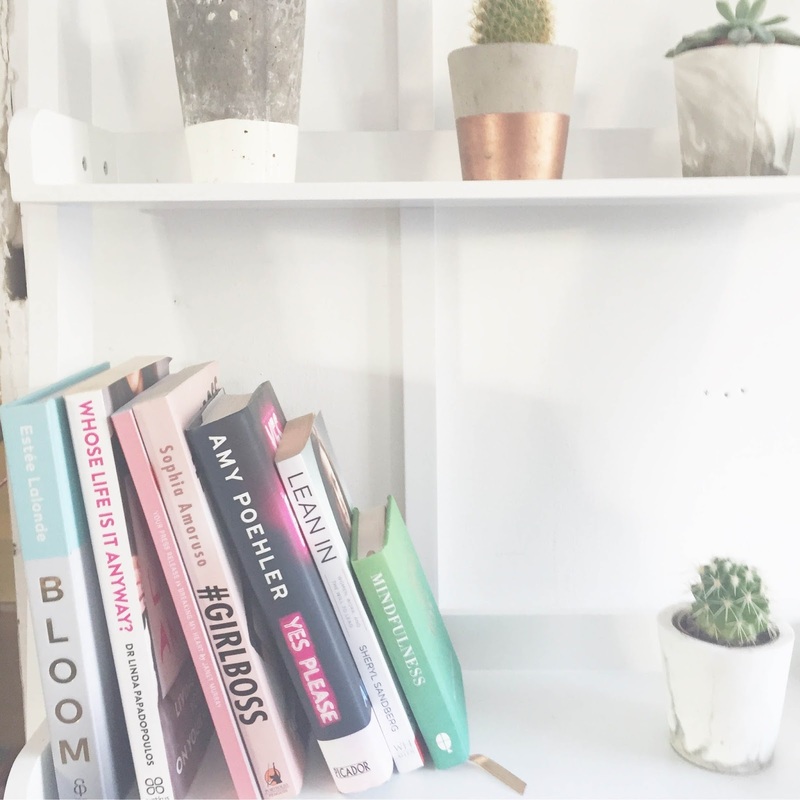 The first was from Lola (who I mentioned earlier) all on how to be your own boss and what to expect when doing so. It was really useful to hear some of her tips and I took a lot of great advice away from her! 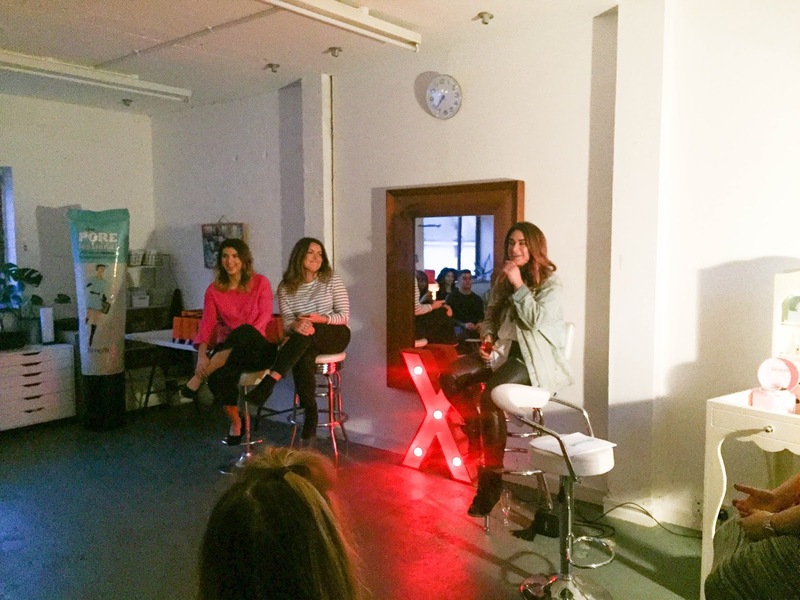 Next up was a Q&A session with Brighton Youtuber Tashie Tinks. Her chat was all around how she build up her success and tips on how to get there. This was equally as beneficial to me, as I've just started my own Youtube channel (here) and it was really helpful to hear an honest opinion on what you really need to focus on with your channel etc! 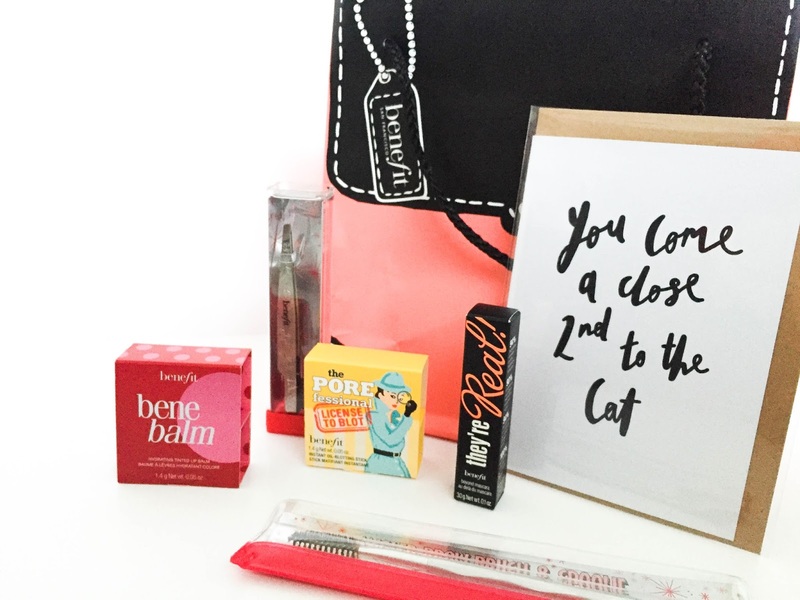 - A mini Benebalm* rose tinted lip balm (which I have been using religiously - it's such a subtle yet beautiful shade of red!). 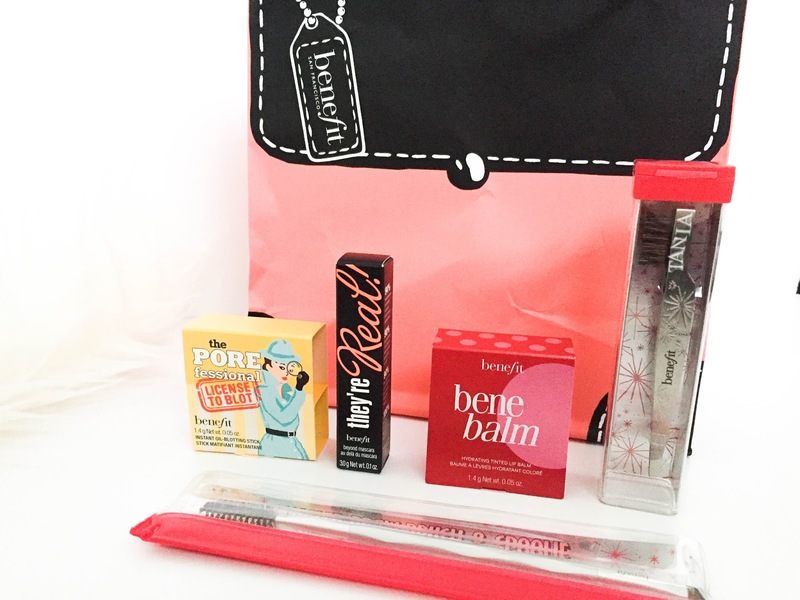 - An Angled Brow Brush & Spoolie* which I have found so handy for filling in/tweezing my brows! ...And last but not least, we got a 'You Come A Close 2nd To The Cat' A6 Greeting Card* from LH Design! As you can see, I should totally personalise tweezers for a living.. LOL.